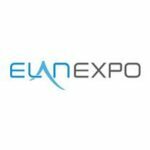 Elan Expo is an independent pure-play trade event organizer, established with an entrepreneurial vision to provide fast ROI to its customers by leading them into emerging new markets. The company owns and organizes leading international trade fairs and b2b exhibitions, around the middle east and Africa in specialized industry sectors.We are an enthused, organic and customer-focused company, creating content for the specific industry and region of each event. Our main emphasis is to deliver events that bring maximum ROI to our exhibitors. Whether you’re looking to enter a new market, introduce your products, find partners/distributors or make new connections in your industry, we invite you to join us in our expedition.We pride ourselves on our ability to develop relationships with the leaders of the industry, bringing qualified decision-makers together and establishing our events as the industry meeting place.